Week 4 is in the books and what a week it was. 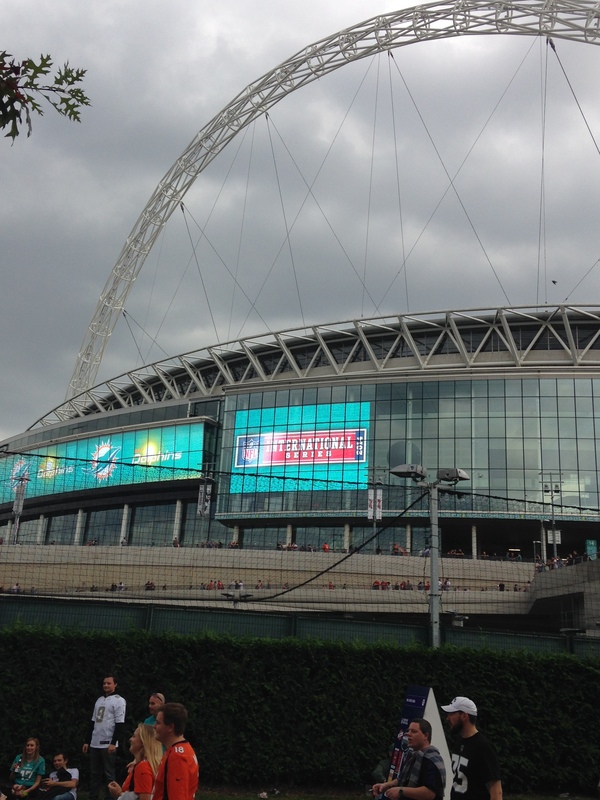 Oakland came to London but failed to turn up at Wembley. Eli Manning learnt how to throw again and Philly’s unbeaten record came to an end after their offense failed to score. It was also quite a week for my fantasy team. In the run-up to Sunday’s games I was chopping and changing between my two QBs. It was Rivers, then Brees, Rivers again, then Brees…I chose the league’s in-form passer in Southern California and he delivered. There was only six points between them, but I was on my way to the biggest points tally I’ve ever scored in Fantasy Football. 140.88 points would take some beating most on any given Sunday. It was nice for Jamaal Charles to turn up, too. As soon as he was cleared to play I knew he would have a field day running against a weak Patriots D that’s struggling this season against the rush. The Chiefs made light work of Brady & Co. Now 2&2, should we sit up and take notice of them as AFC contenders? They’ve got quite a division to get out of, but let’s not forget they gave the Broncos a game in Week 2. Randall Cobb’s season-high seven catches for 113 yards and two TDs also helped ensure that I didn’t rue my failure to waiver a replacement D for my Broncos defense who were on a bye. The best player in the league right now must be J.J. Watt. He’s certainly paying back the $100m contract he was awarded this summer. He’s almost single-handedly carrying the Texans this season and his importance to the team was highlighted in the seven tackles, nine quarterback hits and the 80 yard TD he scored from an interception. 26.50 points from a defensive player is not to be sniffed at. So, we move on to the next week with so many more possibilities. Hands up, who picked the Buccs to win at Heinz Field? Did you really expect the Vikings and Chiefs to win so handsomely? It’s a funny old game and one we just can’t get enough of.